This video documents the battle over the water in Waiāhole Ditch on the island of O‘ahu, where taro farmers and long-time residents seek to reclaim the natural stream waters that were taken in the early 1900's by sugar plantations. explores the significance of the deity Kāne and his embodiment of the water/rain cycle; Hawaiian tradition and law regarding water use; native stream life; and the delicate balance between the health of the streams, the health of the ocean and the health of the people. Pualani Kanahele, Calvin Hoe, Liko Hoe, Kawai Hoe, Charlie Reppun, Robert Nishimoto, Kaipo Faris, Kalani Apuakehau, Kia Fronda, Herbert Hoe, John Kilbey and Albert Badiyo. 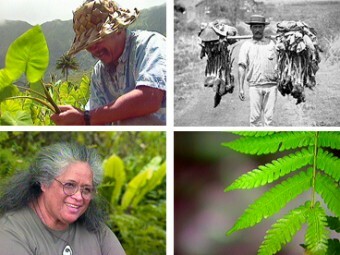 Produced in cooperation with the Native Hawaiian Advisory Council. Major funding from the Corporation for Public Broadcasting through Pacific Islanders in Communication. Especially for Kids, National Museum of the American Indian • Washington, D.C.